This tiny home was built in about 1870, probably by sawmill owners after a land grab made possible by the Treaty of LaPointe — you needed merely to stake a claim and the land was yours. It served as the home of Harry and Maria Hill, poor immigrants from Finland who arrived in 1880. In fact, most of Canal Park was settled by Finns. The Hills helped by bringing family and fellow townspeople from Finland, building a Finnish church, one-room school, and sauna—and by adding their own seven children to the population. They also owned the red brick store and boarding house next door. 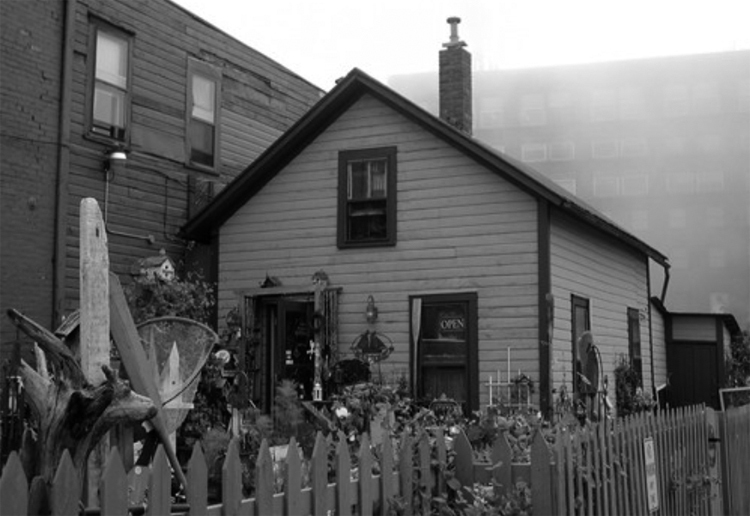 The store was called the Harry Hill Store and Lunch Counter, but was often referred to as “The Little Red Hotel.” For many years a portion of today’s Canal Park operated as a marginally legal red light district — and the boarding room was thought to have been used for prostitution. Later, during Prohibition, a secret passageway was employed to sneak between the Hill home and the boarding house—you can still see the doorway if you visit it today (the house, as of 2016, was still 95 percent intact). The Hill family owned the house until 1976, using it as a residence until some time in the 1960s. The lunch counter stayed open until 1974, operated by Sophie and Ann Hill. Maria Hill, by the way, claimed to have been the first woman in Duluth to own a car. 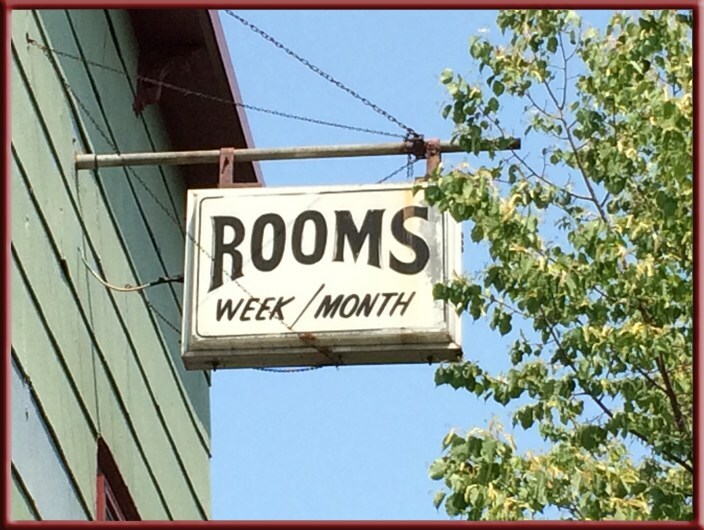 In 2016 the boarding house building was purchased by developer Alessandro Guilliani who renovated the interior, wrapped the building in vinyl siding, and removed the historic “Rooms Week/Month” sign.